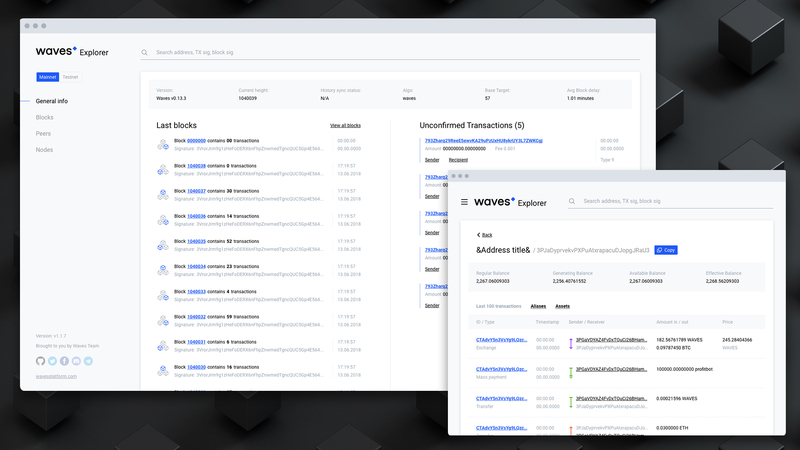 We are redesigning the Waves explorer now. In the first iteration, we will change only UI. But in the next step, we will add more functionality. We really love our products and make them for you. What do you think about the new explorer design? And what do you want to add there in the future? ummm! Thanks for sharing.I found a lot of interesting information here. A really good post, very thankful and hopeful that you will write many more posts like this one. How is this going by the way? New explorer on the way? Thank you very much for your comments — it’s extremely important to us. At the moment we are improving the design (making it even better ) and are engaged in front-end development. Looks Good, Amazing progress by Waves Team.